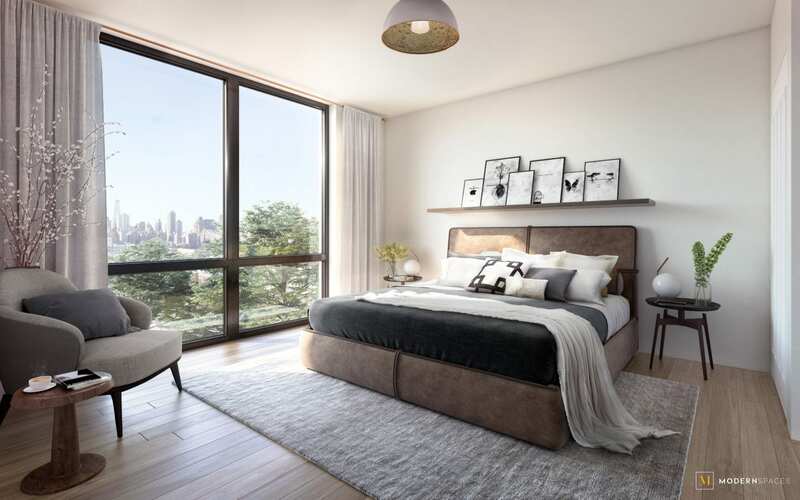 <strong>NOW SELLING</strong> <span style="font-weight: 400">For those who desire even more ample living space, the duplex units boast expansive proportions, highlighted by soaring double height ceilings and an even more luxurious array of finishes. 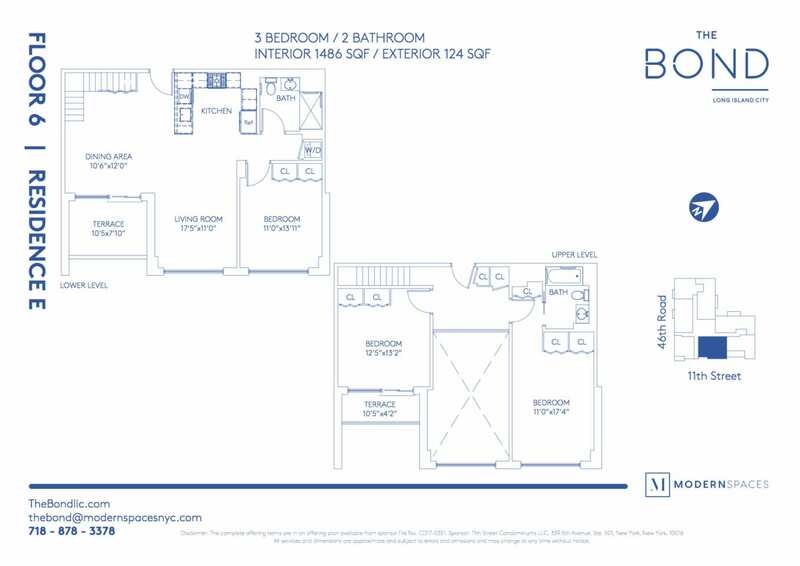 The two 3-bedroom duplex units are split between the 6th &amp; 7th floors. 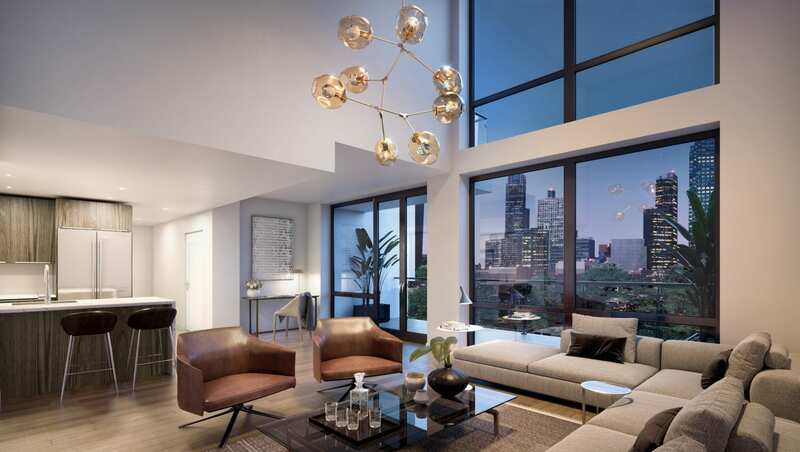 Exceptionally roomy, with meticulous attention to detail throughout the generously scaled rooms —these units are a delight for all and highlight the best of the Long Island City lifestyle.</span> <span style="font-weight: 400">This stylish collection of residences at 46-20 11</span><span style="font-weight: 400">th</span><span style="font-weight: 400"> Street reconceptualizes the neighborhood’s industrial legacy. Where paper factories once stood, The Bond stands out, exuding LIC’s brash bold spirit of innovation. 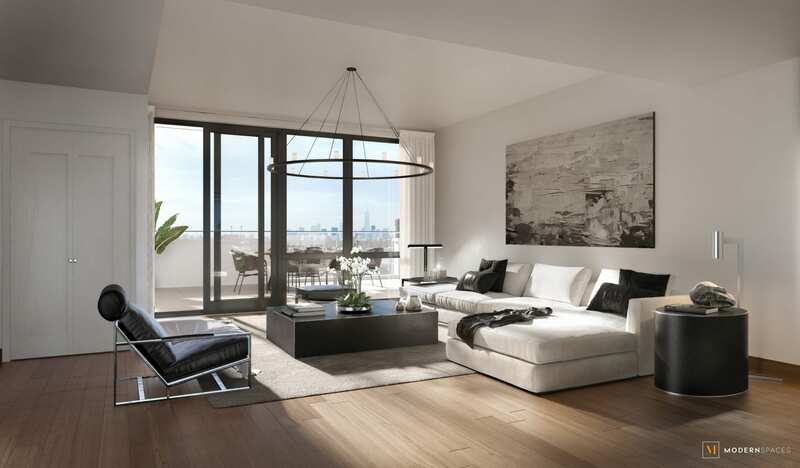 The result is delightfully chic residences that enliven the neighborhood — a rare combination of design and distinguished functionality.</span> <span style="font-weight: 400">Infused with carefully considered elements that enhance the living experience, the 42-unit building is reflective of its commitment to the neighborhood aesthetic. 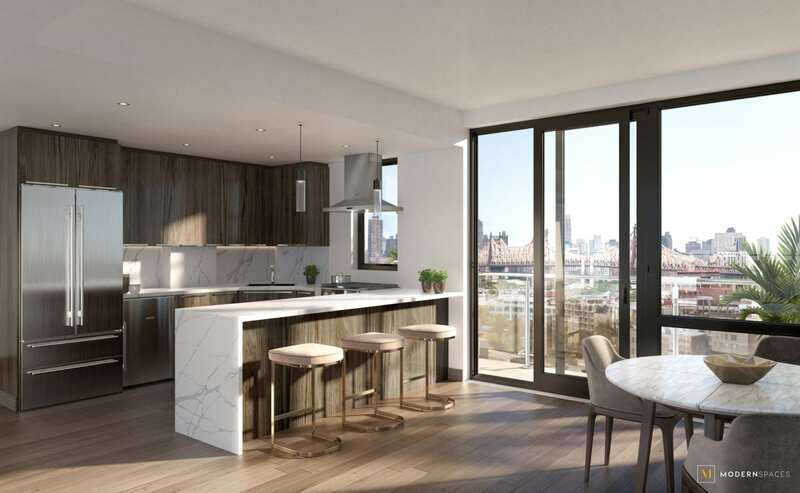 Located close to the water and Gantry State Park, residents are within reach of all that LIC has to offer.</span> <span style="font-weight: 400">The striking brick and glass exterior sets the tone for the residences inside. 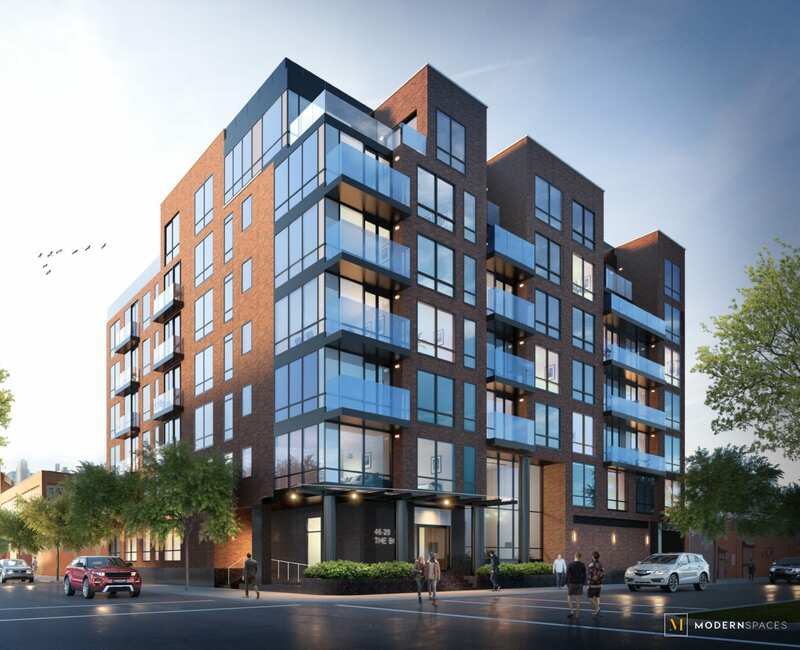 </span><span style="font-weight: 400">Clean, modern lines blend with premium finishes and exclusive details in harmonious balance.</span> <span style="font-weight: 400">Apartments are imbued with premium finishes, including 5” wide plank oak flooring and generous ceiling heights. Oversized windows bring the outside in with an abundance of natural light, showcasing views of the neighborhood. 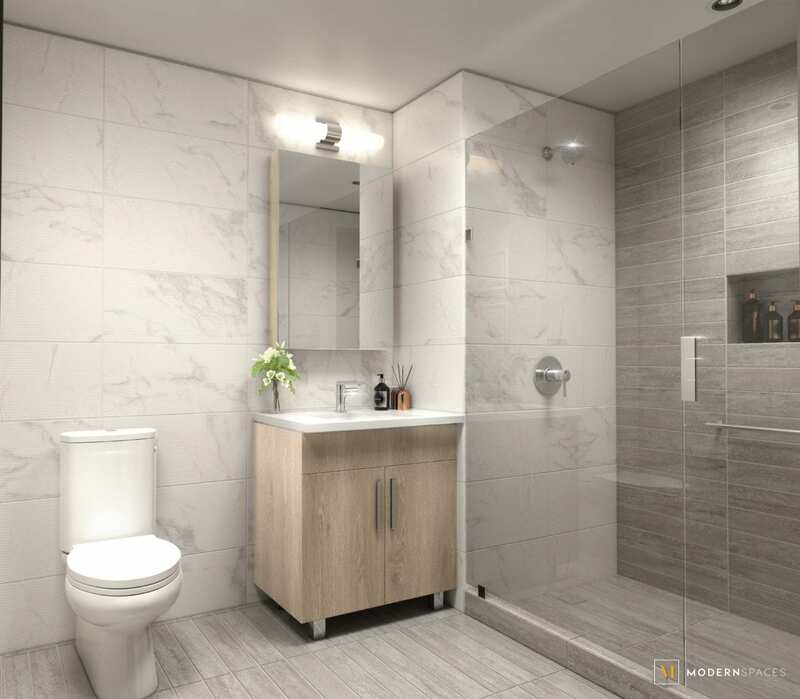 These residences are enhanced by the seamless use of technological features for your convenience, including a state-of-the-art multi-functional Toshiba heating/cooling system and smart door locks. All are equipped with Bosch washer/dryer in-unit.</span> <span style="font-weight: 400">Chef-inspired kitchens are elegantly styled. Appointed with custom Egger cabinetry, quartz countertops and backsplashes, and paired with Bosch stainless steel appliances, along with plenty of cabinets and pantry space, these kitchens thoroughly integrate form and function.</span> <span style="font-weight: 400">Bathrooms are outfitted with a Kohler bathtub/toilet, porcelain tiling, and spacious walk-in showers. An Egger Grey Bardolino Oak vanity is complemented by brushed aluminum fixtures and industrial chic LED chrome lighting. The soothing warmth of radiant heated flooring adds a spa-like appeal.</span> When it’s time to unwind, choose from the entertaining lounge or the landscaped outdoor courtyard on the first floor. 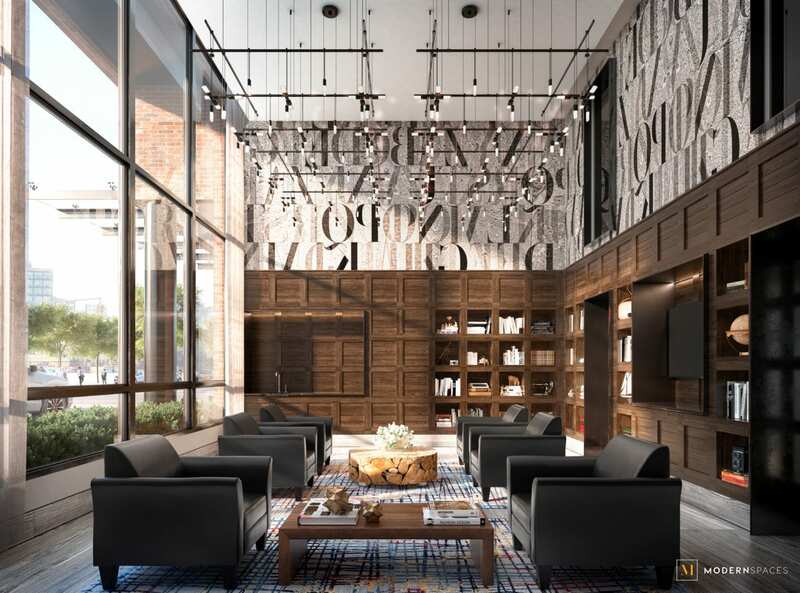 Other amenities include a part-time doorman and 24-hour virtual doorman, a fully equipped state-of-the-art fitness center, bike room, package room and garage parking. Pets Allowed.